Mix cream cheese, Hidden Valley mix and chopped onions. 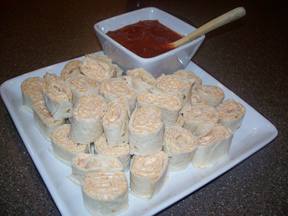 Spread cream cheese mixture over tortillas. 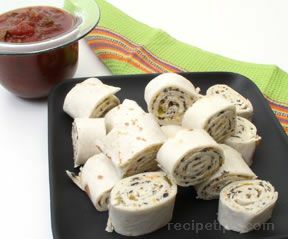 Drain pimentos, chilies and olives and blot dry on paper towel. . Sprinkle over cream cheese mixture on tortillas. 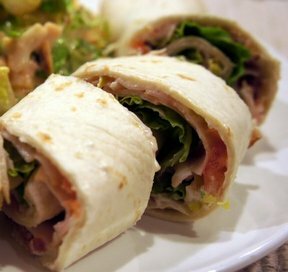 Roll tortillas tightly. Wrap in waxed paper. Chill several hours. Cut into slices and serve.